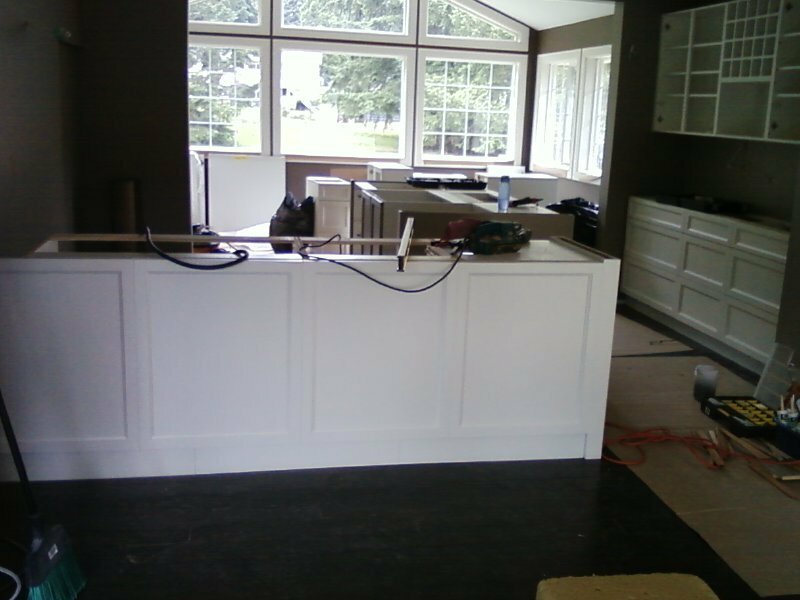 Kitchen cabinets are being installed this week! We are getting close to completion; the floors will be all down, cabinets installed and countertops on their way. There are still bits and pieces to finish up but it is all really coming together. I’ll be over there this weekend to check out all the progress! (Sorry this one is sideways) My favorite little tiles in the whole house; Carrera Marble hexagons on the shower floor and back of nook! While we were enjoying our first few days in New York City, we did manage a little retail therapy (you know, to fight the jetlag and homesickness etc…). We stopped in at the glorious C.Wonder store in SoHo. I absolutely loved the design of this shop. It was theatrical and bold; a shopping experience. The brand was so clearly presented in the displays; it showcased the bold product designs rather than compete with them. This would be a dream retail project to have created. Recessed picture frame displays, just brilliant! Loved all the bright home goods, get ready fo summa! After a lovely morning and breakfast at the Hearst Tower where we met the Kravet Family and had the pleasure of listening to the Editor in chief from both Veranda Magazine and House Beautiful Magazine (Dara Caponigro Newell Turner respectively) we moved on to the Elle Décor Concept House. It was rather cramped and I think it would have been more enjoyable (and easier to appreciate) if there had been less of us in there at one time. I did manage, however to capture some of the beautifully designed spaces. Check them out below! She Matches he shorts to her room! Love these colours and shapes! Like I said, this was one of my favorite part of Blogfest. It was just so incredible to see all of these amazing designs come together in one spectacular masterpiece of a house. Each room revealed new surprises, design ideas that I could only dream of and enough eye candy to develop type II diabetes. We had the opportunity to speak directly with the designers of each room; find out their inspiration, the challenges they faced (um… how about that they completed the whole project in only 4 weeks!!!) and specific questions about the products and applications they used within their space. I really don’t think I need to say much more about this, the photo’s speak for themselves. Lacquered Dresser, wood paneled walls and Berber carpet wall-to-wall. Yup! Love how feminine this rooms is. I would like to curl up with some tea. wrapping the interior column with wallpaper; smart. hand painted walls - 4 weeks people!! gotta love well merchandised open shelving. I like that they painted the shelving the same colour as the walls. Blogfest 2012 in New York City was an amazing, inspiring and draining experience ;-) I met so many wonderful blogging personalities and designers from all over the USA and a few from Canada. We were exposed to incredible panels of talented designers and editors. I came back feeling absolutely enthused and exhausted at the same time. Amanda Swanlund, Myself and Nicole Copko taking in the HUGE list of exhibitors.